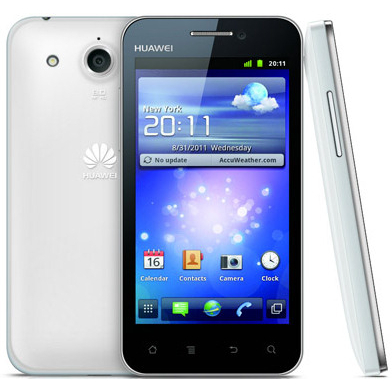 Huawei Honor is the first high end smartphone of Chinese Company. This company is known for offering cheap and affordable handset however with the launch of Honor company want to change everything. The intention of company is to recognize as a high end smartphone manufacture not only the cheap mobile phone manufacturer. In case this first try of company become successful then surely it will launch second high end device. Honor will fist come to Asia and then it will hit the other markets. According to Huawei, “the Honor will be introduced in Indonesia, Singapore, Malaysia, Japan and China, in December” however the price of Honor is not mentioned as yet. Huawei Honor is designed with a 4.0-inch capacitive touchscreen which boosts up the resolution of 480 x 854 pixels resolution and also support to 16 million colors. It gets power from a 1.4 GHz single core Qualcomm MSM8255T Snapdragon processor which is complemented with an Adreno 205 graphics processing unit, 1GB on-board memory, 512 MB of RAM and 4GB or ROM. You are free to expand the memory with the mean of a microSD card slot up to 32GB. High End Honor Cell phone is packed with dual cameras; one is rear camera and second is front facing. An 8MP rear camera is featured with autofocus and LED flash. On the other hand, there is a 2MP front facing snapper for video calling and video conferencing. The handset comes with a high-capacity 1900 mAh Li-Polymer battery which provides many hours of usage. Huawei Honor smartphone is running on Google’s Android 2.3.5 Gingerbread platform and on the top of this OS you will company’s proprietary user interface named as Huawei Android Platform 5.1 (HAP). This UI will make it feasible for you to enjoy lots of features such as exclusive icons and widgets and 3D transitions for several applications. The company is trying to provide full protection to user’s data and for this purpose Honor is integrated with security software named Huawei Guard. You will also get a File Manager and a backup app in this handset.